How did you first learn about Flitto? 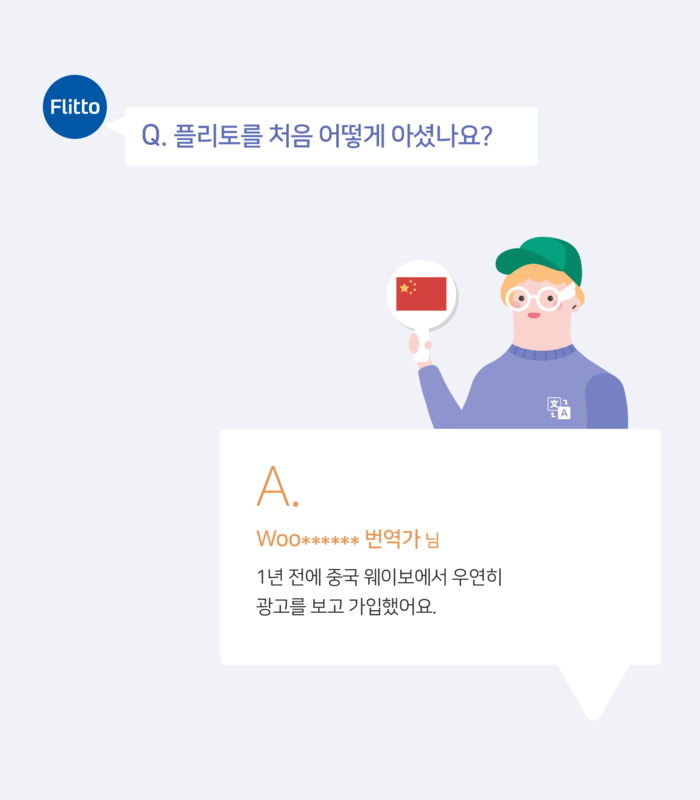 I saw a Flitto advertisement in Weibo and decided to register. Was there any special reason for deciding to work as a translator in Flitto? 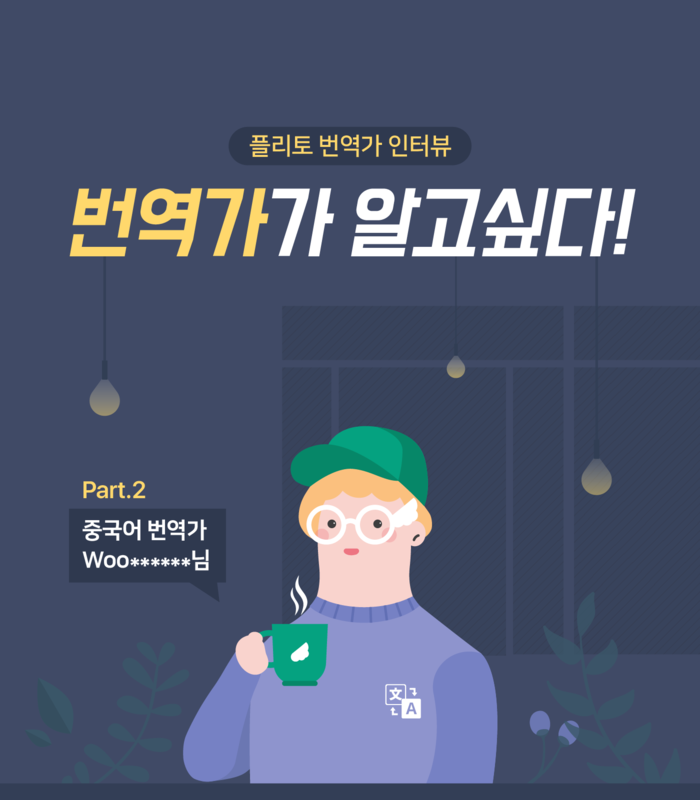 I always liked Korean and had interests in the language, so I decided to give it a try during my free time to earn some pocket money. Do you have any past experiences as a translator? I have worked as a translator for about 10 years. Because I am currently working at a Korean company, my current work also involves a lot of translation. Do you have any special story or episode you remember while translating? I’ve received some job offers as a translator from many companies. Haha. In Flitto, how many hours do you usually spend for translation work? For right now, about 2 hours a day. In the back days when there were more requests, I used to spend about 4 hours a day. How much points did you earn in a month when your profit was the highest? I think the amount was almost equal to hundreds of USD. 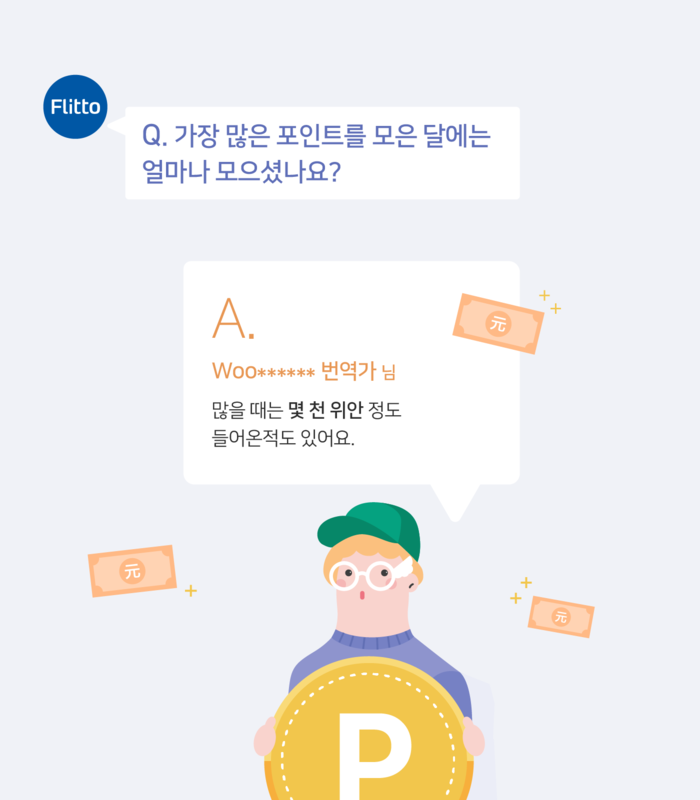 Compared to other translation platforms, what is the main advantage of working as a translator at Flitto? Compared to other platforms, there are more professional translation requests for Chinese-Korean/Korean-Chinese language pairs. That is an important factor for a translator. Also, Flitto is very systematic. What do you think is the greatest advantage for working as a translator in Flitto? You can help other people in your free time with your language skills and even make some money. That, I think, is what makes me happy.